Thank you for seeking out our unique products; we are most proud to share them with you. The AirPen® Color Dispenser - a handheld, air powered tool for drawing fine decorative details or for color filling intricate engraved areas. Paints, glues, ceramic glazes and slip, and other viscous mediums are effortlessly dispensed by placing a finger over the flow control hole to create delicate lines, dots, and embellishments without hand fatigue. The patented AirPen Color Dispenser is drip-free and supplied with an air compressor and all accessories. SurfacingSkins™ - Intricately-textured, durable, silicone SurfacingSkins create instant dimension to a clay surface! Feed through a slab roller, or roll clay onto Skin for dimensional patterning. Distort design by further slapping, stretching, and pulling clay on work table, if desired. Raised areas can be further defined with glaze or colored slip. Fiber Etch® Fiber Remover - a liquid gel which comes ready to use for devore' or "burnout" processes. 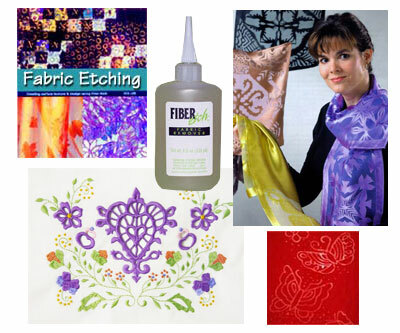 You may etch designs into fabric and paper to produce elaborate techniques on cotton, linen, or rayon fabric blends. 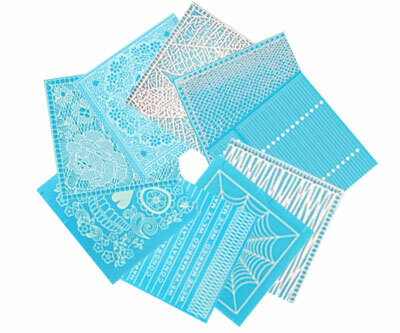 Fiber Etch also removes fabric within embroidered or painted areas for 'cutwork' effects. It is now formulated to work on paper too! 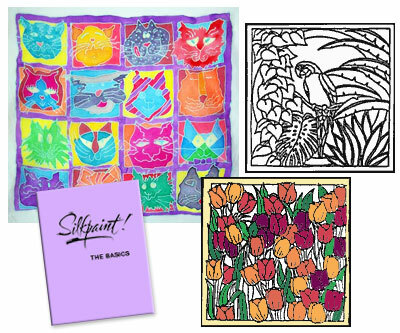 Silkpaint!® Brand Resist - is water soluble and you may paint instantly after applying; no more drying time! It is tintable with many varieties of acid dyes to make colored resists, and cool water removes the resist while the color remains. Available in clear and black. 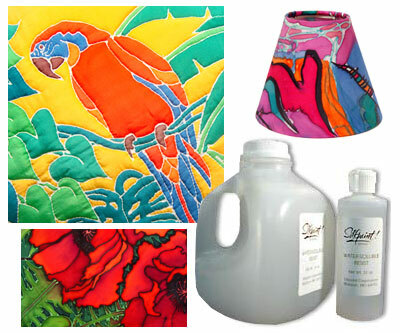 Silk Painting Supplies - Including our "Pattern Pak" of designs, silk dyeing Booklets, silk fabrics, and more. We enthusiastically look forward to hearing from you and helping with your creative pursuits. Limited Time Offer: FREE Domestic Shipping.